With Arctic activity escalating, the North Slope Arctic Borough is taking steps to protect its resources while developing its economy. The Borough passed an ordinance to create a North Slope Port Authority on July 1, 2014. The Port Authority would create, fund, and operate port facilities and related activities along the North Slope coast. That development is an increase in Arctic marine traffic and resource extraction. Fuhs said no port exists in the North Slope. He said docking facilities exist at Prudhoe Bay and Barrow, but most communities rely on crude means for unloading vessels. “In terms of the other communities, it’s pretty much, you pull up with a barge, and you land on the beach, you put a ramp down,” Fuhs said, describing the docking methods for most of the Borough. Fuhs said the Port Authority would create more efficient port facilities in coastal communities along the Slope, reducing living costs along the way. According to the ordinance, the Port Authority would also protect subsistence resources, create local jobs, and provide emergency response. The Authority would operate as a public corporation with a seven-member board with representatives spread across tribal, local, and regional entities. Fuhs said this inclusion consolidates ownership while creating flexible financial capabilities. “It really helps provide unified approach for entities want to come to the North Slope and do business,” Fuhs said. The initiative is being lead by North Slope Mayor Charlotte Brower. Advisor to the Mayor, David Fauske, said decisions governing Arctic development are being made remotely in Juneau or Washington D.C. Brower pushed the ordinance to bring these decisions to the people whose backyards the development is affecting. 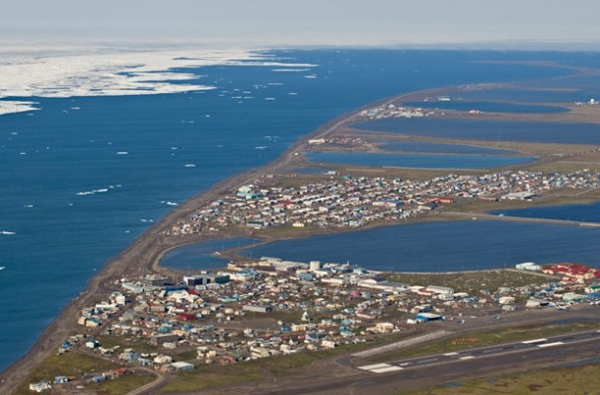 The decision to create a North Slope Port Authority goes to public vote this October.